Fastcase, along with Bloomberg Law, Lexis and Westlaw, is another electronic tool in the legal research toolbox. 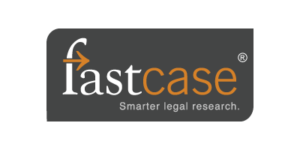 Fastcase is a legal research service that began in 2008, and gives users access to primary legal authority covering cases, statutes and regulations for most state and federal jurisdictions, as well as court rules and bar association publications. A benefit of Fastcase is that access to law review articles is provided through the library’s subscription to Hein Online. Brooklyn Law School students may access Fastcase from the SARA catalog. The library recently added to its collection the book Fastcase: The Definitive Guide by Brian Huddleston, call number: KF 242 .A1 H833 2018. This book has twelve chapters covering everything you need to know about Fastcase. Members of the New York State Bar Association have free access to the Fastcase New York Library. For further information see: Fastcase bar associations. Written by: Linda Holmes on May 11, 2018. This entry was posted in BLS Students, E-Resource, HeinOnline, New York, SARA Catalog on May 11, 2018 by Linda Holmes.